1276 Swein de Watenhale received the lands of Wettenhall in dowry from a de Dutton. 1347 Agnes, widow of John de Wetenhale, gave Robert de Paris, chaplain, the fees from the Manor of Wetenhale, but no mention of a chapel is made. The family lived mainly at Dorfold Hall, Acton. 1529 The chaplains Robert Donald and Richard Courden also had the fees of the mill at Wetenhale, but still no mention of a chapel. 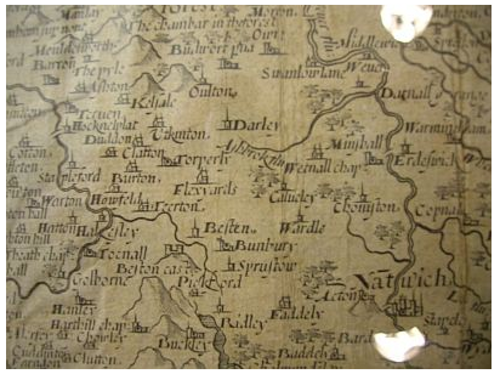 1577 The Saxton map of Cheshire shows a Chapel at Wetnal. 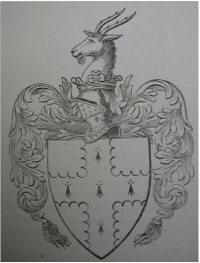 1620 John Colefax is listed as minister at Wettenhall Chapel, followed by 4 other non-conformist ministers. See List Of Incumbents for details. The Chapel is shown on the Hole map of 1637. 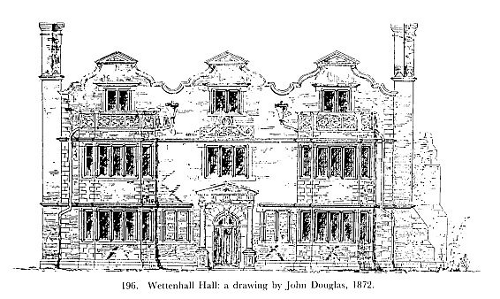 1630 Wettenhall Hall is built. The English line ran out in about 1782, marrying into the Mainwearings. There are still Wettenhalls in Australia. 1671 Control from St Chad's, Over is clearly established. 1692 The year after John Wesley's death, one report has Wettenhall Chapell licensed as a Dissenting Meeting House, but a letter dated 1694 ('soaps' are not new! ) suggests that this was not so clear-cut. 1719 Work on this Chapel of Ease to St Chads, Over is funded by money from Queen Anne's Bounty and £50 from the Archbishop of York. This may have been a new building, as it was described as "a small modern building of brick, containing neither monuments nor anything else worthy of notice". 1818 There may have been another chapel built about this time. 1829 A Society for the building of churches gave £15 to help repair the chapel and add a chancel. 1870 The present church was built by public subscription (approx £700 raised), dedicated to St David, and consecrated by William, Bishop of Chester. The first burial records date from this year. 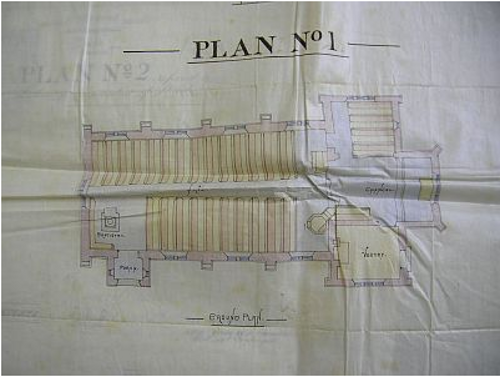 1880 Wettenhall became a separate parish, having been previously in the Parish of Over. 1930 Wettenhall Hall is demolished. 1969 Benefice united with Tilstone Fearnall. 1970 Old harmonium replaced with a small pipe organ previously in Chester Cathedral. 1991 Benefice united with Acton, Church Minshull and Worleston. c Present Church dedicated to St. David, consecrated 1870, replacing "a plain brick building" built in the 17th cent. as a Non-conformist chapel on the same site. Wettenhall was created a separate Parish at this tine, having been previously in the Parish of Over. d Benefice united with Tilstone Fearnall, 1969.